Julie Hamp on Toyota: "The company is humble, and learns from issues in the past or things it could have done differently." 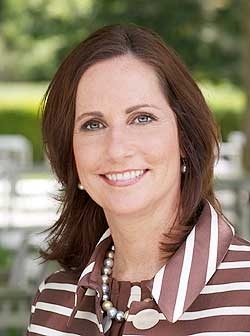 LOS ANGELES -- Toyota Motor North America, which saw its public image bruised in recent years from a string of recalls and class-action lawsuits, has named PepsiCo and GM veteran Julie Hamp as its chief communications officer. Hamp replaces Jim Wiseman, 60, who will retire after 23 years at the automaker. The change is effective June 25, the company said in a statement today. Hamp, 52, resigned from the top communications position at PepsiCo in March, after five years at the beverage and snack-food giant. She was responsible for streamlining PepsiCo's splintered brand and sector teams into a more cohesive unit, reflecting the need to speed digital communication with media, bloggers and within PepsiCo's internal divisions. During her 25 years at GM, Hamp had several key roles. She was part of the Saturn team that worked with retailers to develop the brand's touchy-feely customer experience with no-haggle pricing and vehicle-delivery celebrations. At Cadillac, Hamp was communications director for General Manager John Smith during the brand's turnaround effort, concentrating on rear-drive cars under the tag line "Art & Science" that also involved the launch of OnStar. Hamp also led GM's marketing divisions in North America, unifying their distinct silos for a more integrated operation during vehicle launches. Hamp also worked at GM's overseas division in Europe as well as Africa and the Middle East. Hamp will report to Jim Lentz, CEO of Toyota Motor Sales U.S.A. and senior vice president of Toyota Motor North America. She will be based at Toyota's campus in Torrance, Calif.
"As Toyota continues to invest and grow in North America, it's increasingly important for us to have good relationships with all of our stakeholders," Lentz said in a statement. "Julie is a proven communications leader, and her strong auto industry background, coupled with her success in working with global brands, is exactly what our team needs." In an interview, Hamp said she was attracted to Toyota's consensus-driven culture, as well as the opportunity to work for "a winning company … during a time when the auto industry looks ready for a rebound." A native of New York, Hamp comes infused with Detroit blood. Her father was vice president of worldwide parts sales for Detroit Diesel. A graduate of Ferris State University in Michigan, Hamp attended the GM-Harvard Business School's executive development program with an emphasis on Asian studies. While Hamp sees Toyota's public relations team as "very progressive in marketing and product communications," she also sees "a huge opportunity" to tell the story of how Toyota impacts society meaningfully. She sees Toyota Motor Corp. CEO Akio Toyoda's plan to give regions more autonomy as a strong move "to speed up decision making and to be closer to the customer." As for Toyota's dented reputation after years of unintended acceleration allegations and lawsuits mostly in 2009 and 2010, Hamp is already on-message. "A lot of folks have weighed in on the safety of Toyota vehicles. They have validated Toyota with top safety and quality ratings. Consumers have shown that this year, with sales up 24 percent. The momentum is there," Hamp said. "The company is humble, and learns from issues in the past or things it could have done differently."